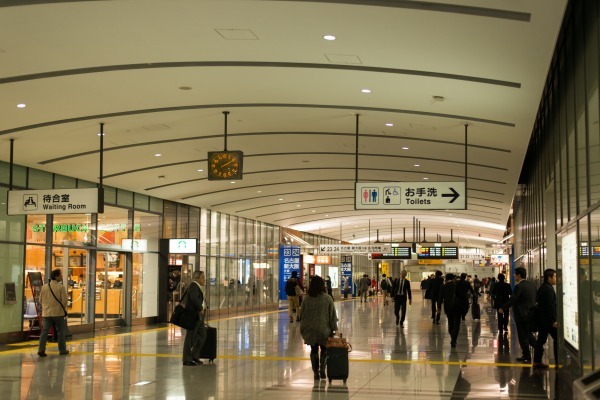 A blog from West Tokyo: Shinagawa, a hub station for Shinkansen (bullet train) and so on. Shinagawa, a hub station for Shinkansen (bullet train) and so on. Truth be told, I went back to my hometown Nagoya yesterday. I spent only one night and turned back to Tokyo today. I got off shinkansen, or bullet train at Shinagawa station which is located near Tokyo station. 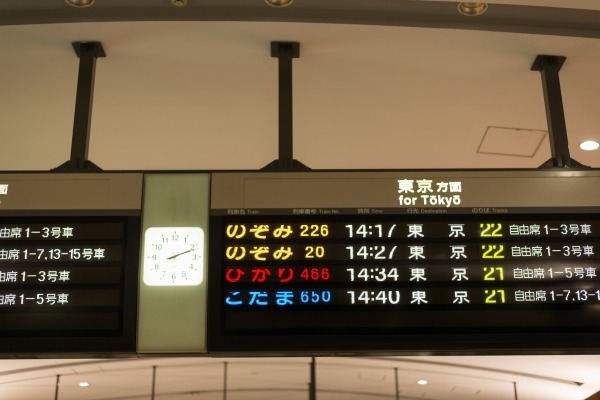 Since Tokyo station is a bit far from cities such as Shinjuku and Shibuya, many people set foot on Tokyo from here (Although Sinagawa and Tokyo station are less than 10minutes by Shinkansen). 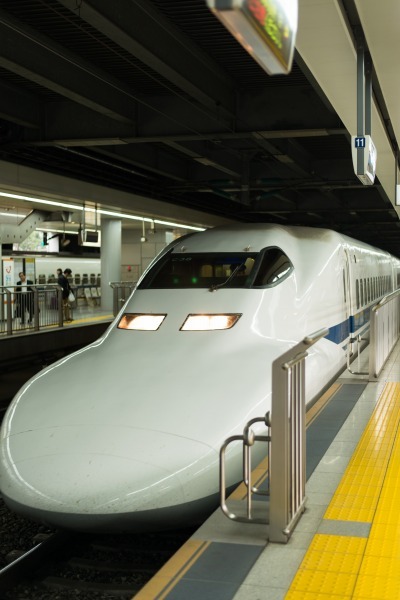 Shinkansen, which connects across this country is very fast, smooth, and punctual. Although I want to travel with it when I go back to Nagoya, it's two or three times more expensive than travel from Tokyo to Nagoya by bus. I mean, it's about 10,000 yen, or around $120 for non-reserved seat by shinkansen. It runs along with Mt. Fuji. It's lucky if you can see the top of it. Usually it's covered by cloud. I'm a traveler who goes back and forth between Nagoya and Tokyo, more than 10 times for round trip a year, however, I can see the top of Mt. Fuji once or twice in one year. Wow! The station looks awesome from the inside. So clean and neat and modern. 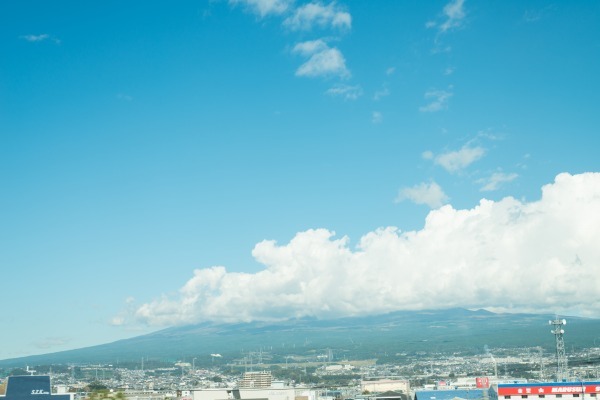 Mt Fuji looks beautiful, didn't you say you wanted to climb it once? Or am I mistaken.. I should have taken inside the train, I just forgot :( But maybe it's for the next time. I usually go back to my hometown Nagoya by bus, but I take shinkansen when there can be traffic jam due to holidays such as New Year and so on. I sleep very well actually. There was a time (before I had met you), I believe it was this time last year. Where I came home from school, exhausted, and I would sleep for an hour before I had dinner. Luckily, that's over and I'm feeling better than ever. I'm quite active and I do fitness to stay in shape :) It really helps. Wow! 4 AM. that's very early in the morning. Now I know you are a morning person, but this is extreme! Maybe you should read a book instead of browsing on the internet. Reading books is soothing and relaxing and will help you calm your mind. Or you should stay up later in the evening? So you will wake up later in the morning... Try something else, I would say. Aren't you worried about your health? I read somewhere that lots of people climb Mt. Fuji in summer, when the snow is gone and it's not that cold. And that there are also lots and lots of tourists from all over the world. I do wish to climb Mt. Fuji as well. It's a once in a lifetime experience and I feel obligated to myself to do it. I recently started saving money because of my job. So I will most definitely visit Japan to climb the mountain sometime. ^.^ Of course, When I will visit Japan I will also come to meet you and your wife, is that okay? but I have no idea what Halloween originally means :-( Many of us are like so, we also celebrate with Christmas only for happy event, as I told you before. Are you going to go to Hague soon? That sounds nice! I imagine it is the place where has a long history. What is the purpose for going there, by the way? Christmas shopping? One reason why I wake up early in the morning (perhaps it's still in the night) is because I sleep a bit early, like around 10 p.m., but also because of a short nap in the daytime. You know, it's not good night's sleep, but I couldn't help but sleeping in the afternoon.... I like having dreams, you can call me a dreamer, haha. What time do you usually go to bed? I can be a little bit computer addict, I should avoid to turn the computer on in the late evening as you said. Speaking of Mt. Fuji, you are exactly right. People rush into the top of it in the summer, really crowded like traffic jam near the mountaintop. A friend of mine climbed this summer and told me that I should take care of altitude illness when I climb up and down. I don't know what it's like, but my wife have experiences for climbing there twice and she was suffering from it very much at that time. We should climb slowly, perhaps. A Sushi restaurant in Tokyo. Old and new Tokyo station. A short trip in Kyoto, part2. A short trip in Kyoto, part 1.